Little sunshine, cold air temperatures, and higher river flows. Freshwater plumes extend far into the waterways. Chilly surface temperatures in Central Sound. First blooms begin in South Sound. A thinner freshwater layer at Mukilteo suggests a low discharge of the Snohomish river. Description Little sunshine, cold air temperatures, and higher river flows. Freshwater plumes extend far into the waterways. Chilly surface temperatures in Central Sound. First blooms begin in South Sound. 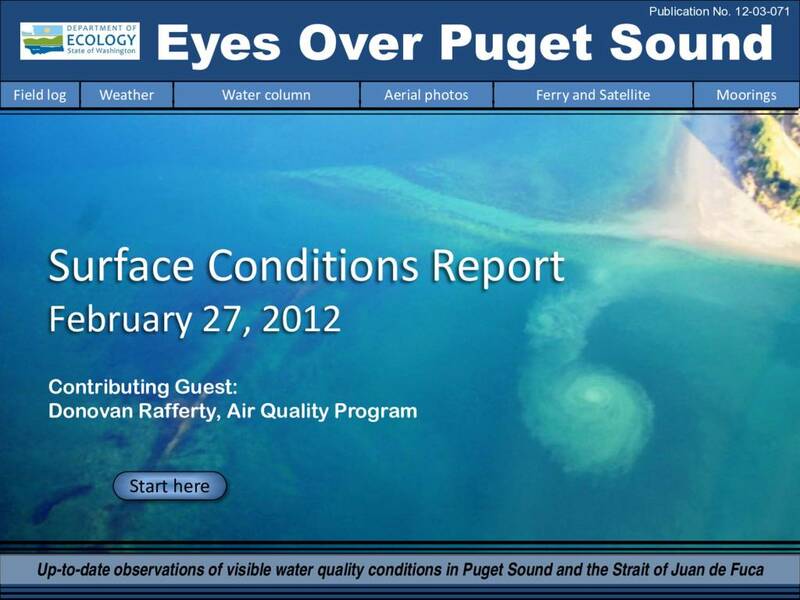 A thinner freshwater layer at Mukilteo suggests a low discharge of the Snohomish river.